The new Edision Argus Piccollo Plus HDIP Full HDTV Receiver is here! Who says you can not do better good? The Argus Piccollo was a Satempfanger of superlatives, and actually everything would be perfect, but really! Edision has once again turned the tuning screw, and now he is there, the ARGUS Piccollo plus HD ip. Your friendly capital-Edision dealer is pleased to present you these top receiver. Because of the small leaves so many great look particularly old. So he will not stop you to record your favorite shows. Of course, with appropriate USB-Festplatte/-Stick. You can of course annoying program content skip a flash. The time shift function allows you to learn at the latest love when the fifth time the phone rings, and then you go to the same place of the movie. HD program content are unscrambled without barriers and without costs, and of course cards. Speaking of cards: the Piccollo plus HDIP has a full CI slot and a Conax card reader. And if you want, you can go through the RJ45 connector into the network and try out the latest software, or HD with a real plus: the new ARGUS Piccollo + HD ip! 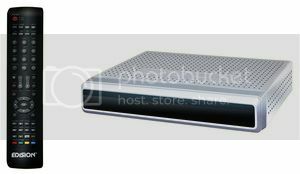 The Argus Piccollo plus HDIP is a full HDTV – Satellite Receiver in the charming small A5 format. He has the proven EDISION menu constantly displays what’s going on at any time day or night on all major channels, EDIVISION is the magic word. With appropriate disks and drives the Argus Piccollo plus HDIP transformed into a small digital video recorder. The Edision argus piccollo plus HDIP is among the largest and receives little in brilliant HD picture quality free ARD HD, ZDF HD, 1Festival HD, Arte HD, Servus TV and many more.